Deploying Secure Meteor Application with Test stage and Landing Page on Ubuntu and Apache including Continuous Integration deployment based on Gitlab. Part 1. | We Make Good Web. Our meteor.js app will be served from new Ubuntu 16 VPS Droplet, all components installation is going to be described here briefly. Application code has repository in git with separation of production and development code, so only features tested and accepted in development branch are merged into production. Continuous Integration is doing deploy to development from develop branch and to production from master branch automatically. In this case whole process is based on GitLab, but any other CI, like Travis or Jenkins can be used. Login to your server as root user. You should have swap space enabled, since meteor build command it quite consuming and event 2GB RAM might not be enough without swap. Install Apache with default command. 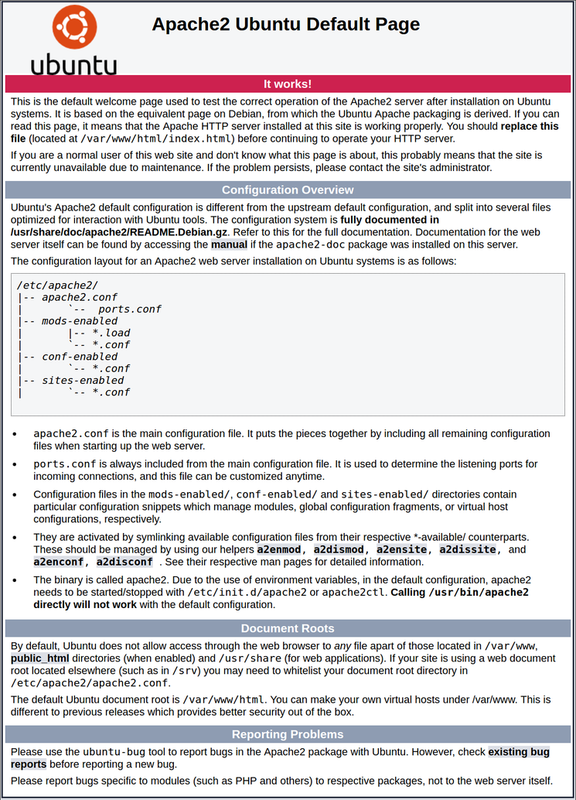 Adjust your firewall settings so Apache expose its default ports. Installing meteor and its dependencies. Node is essential for meteor, you should have check which version of current meteor is supported. In order to prevent some random build errors we will install nodejs-legacy and for some npm packages that require compiling code from source we need essential-tools as well. The goal of this is to have a stage application when we test our features before publishing them on production server. This going to be served as simplemeteor command. Each code git pull will just refresh app with default hot code push. We need SSH keys for pulling repository from git and future Continuous Integration processes. Add public key to authorised_keys so we can login with that key with ssh and being able to clone our repository. Copy public key to clipboard and put it to deploy keys in git. Mongo Database export from other machine. Open your local machine two terminal windows. For import and export meteor must be run in background, so you need two terminal windows. That’s it, database backup is on remote server. Local machine terminal can be closed now. You should be able to see dump on you home folder. To import you must open second terminal window and in first meteor must be running. Now your app is filled with data and you can close second terminal window. We want to have this app to run in background without any fallback like pm2, nohub etc, but to run meteor as linux service, which is quite easy to achieve. Lets create simplest shell script to run our app. The following examples is simplest by you can create more sophisticated start scripts easily. this file is starting script for you service. some more sophisticated examples are described by @jaaaco in his article listed in the resource section below. Now your application is running as service on port 3000. Our application runs on port 3000 but we want it to be accessible on dev.example.com on default ports (80 for http and 443 for https). It is achievable with ReverseProxy. HTTPS is a must for an application, for production live you should have brought some external signed certificates, but for development version free letsencrypt are just fine. which installs python cert bot to manage you free certificates. Run it to generate you cerificates. and change to redirect all traffic to https. In case of generation error, please try to run certbot again. Deploying Secure Meteor Application with Test stage and Landing Page on Ubuntu and Apache including… was originally published in Qunabu Interactive on Medium, where people are continuing the conversation by highlighting and responding to this story.